The children of Drogheda will soon be getting music lessons thanks to members of the Society of St Vincent de Paul (SVP). The decision was made after the SVP conference coincided with traditional Irish music festival Fleadh Cheoil na hÉireann in the Boyne-side town last week. 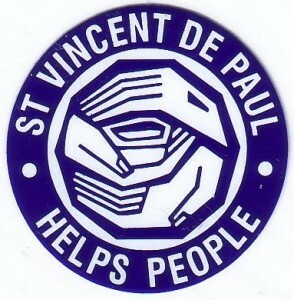 SVP is well known for its work of bringing support, friendship and practical help to people who are going through tough times. Such is the ability of music to lift hearts and to provide hope and inspiration that the idea to share Irish traditional music was readily adopted by SVP members. SVP volunteers teamed up with the local craobh of Comhaltas Ceoltóirí Éireann to organise lessons for youngsters who wouldn’t normally get to learn how to play musical instruments. The drive was music to the ears of all who heard about it, especially the cathoirleach of the Drogheda Comhaltas, Lolo Robinson, who immediately secured a team of musical tutors for the scheme. “Music builds imagination and intellectual curiosity and when introduced at an early age fosters a positive attitude towards study and learning,” said Joe Sweeney, president of the SVP north-east & midlands region. Such was the success of the endeavour that the SVP and Comhaltas used Fleadh TV to launch a musical instrument donation drive. The drive is aimed at anyone in the Drogheda area who might have little-used musical instruments in good condition in their homes. These instruments can be dropped off at SVP shops, and the society will make sure that they are passed on to children who would love to learn to play a musical instrument but whose family may not be able to afford them. If you would like to support the SVP, but do not have musical instruments to donate, you can support the society’s work with a financial donation using the free phone number 1800 677777.